Fourteen-year-old Elizabeth Reid has spent her life protecting her sister, Jaime, from their parents’ cruel mistakes and broken promises. When their mother chooses her second husband and their new family over raising her firstborn girls, Elizabeth and Jaime are separated and risk losing the shelter of each other. Hand Me Down indelibly captures a contemporary family journey--how two young people, against incredible odds, forge lives of their own in the face of an uncertain future. 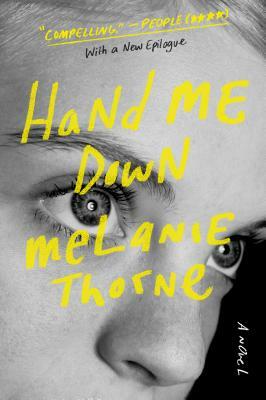 Melanie Thorne earned her MA from University of California-Davis, where she was awarded the Alva Englund Fellowship and the Maurice Prize in Fiction. She lives in northern California.